Vacation rental townhouse. 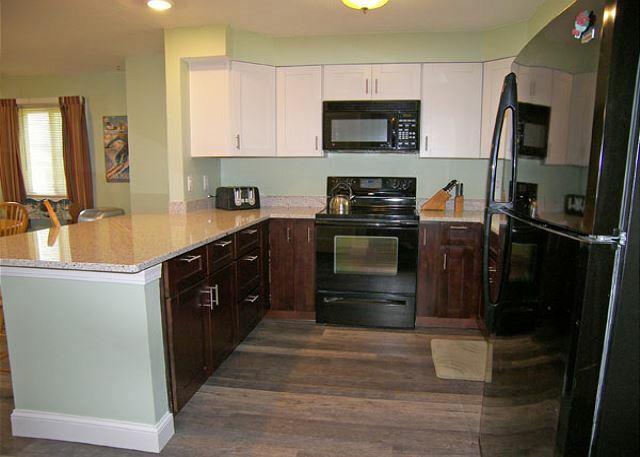 Sleeps 11, 4 bedrooms, 1.75 bathrooms. Dogs allowed. 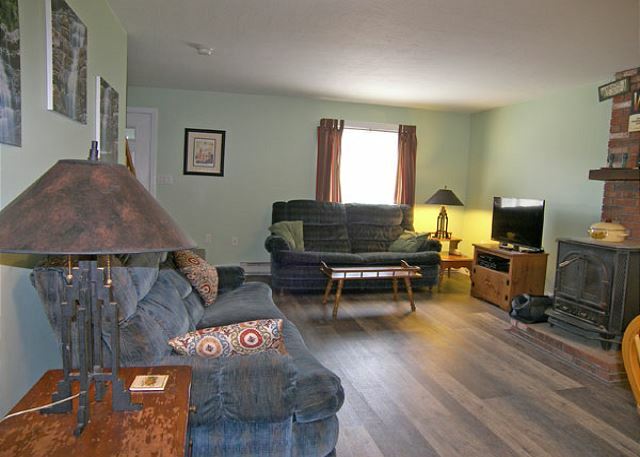 A nicely appointed four bedroom three-level townhouse at Alpine Village Resort. Enter to the open concept living, dining and kitchen. 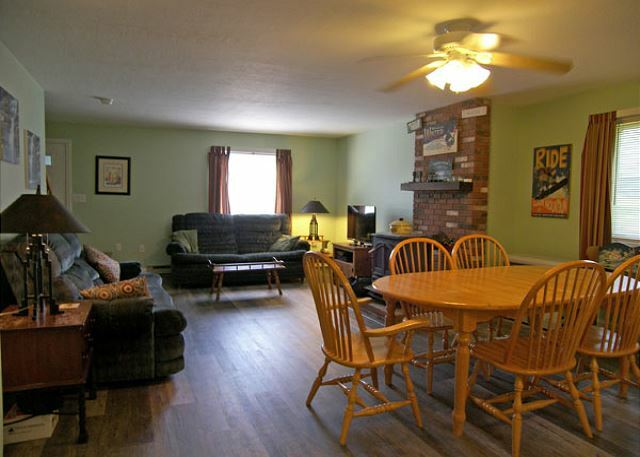 The living area offers comfortable seating and a flat screen TV/DVD. The dining area has an air conditioning unit and a table with seating for six. Just behind the dining table is the kitchen counter with two additional seats. 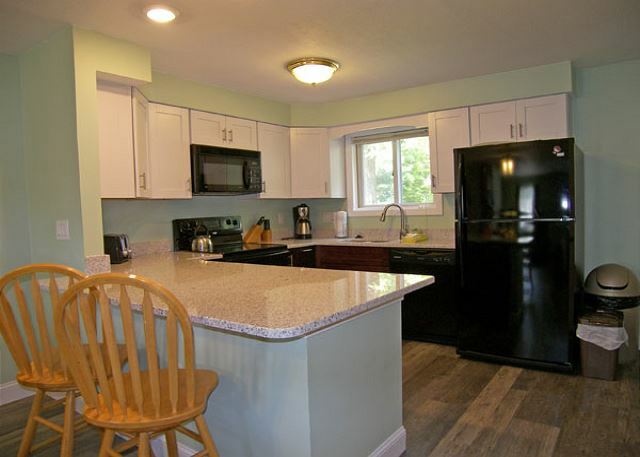 The full kitchen offers a great place to make a meal and includes a microwave and dishwasher. The laundry closet with washer and dryer is located on the far side of the kitchen and the back deck with seating is accessed from the kitchen door. 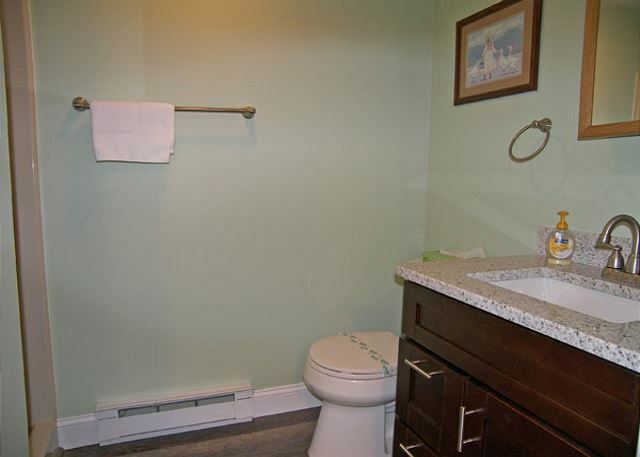 A 3/4 bath is also located on this level of the townhouse. 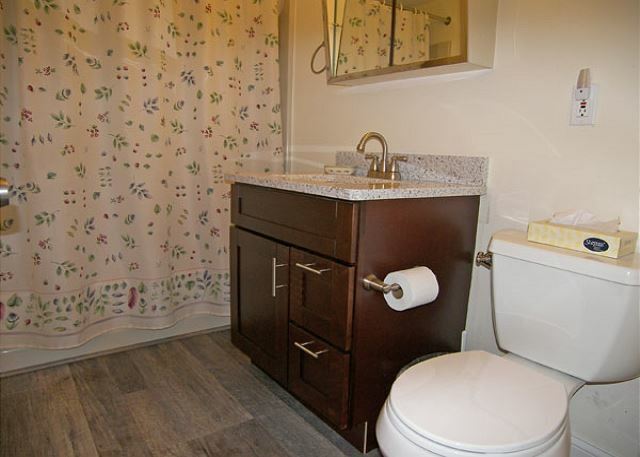 Upstairs you will find three bedrooms and a full bath. 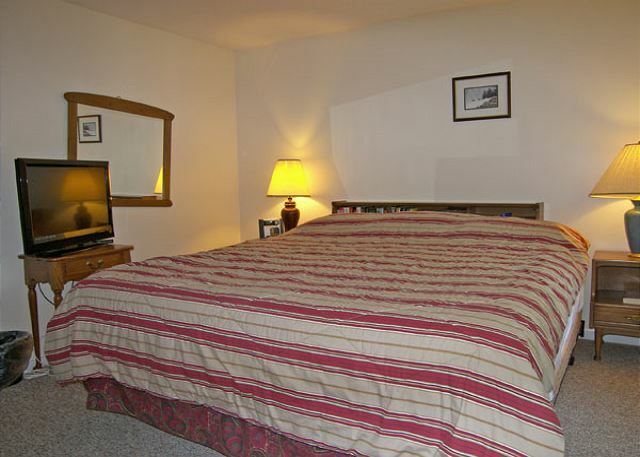 The master bedroom has a king bed, flat screen television and air conditioning; the second bedroom has a set of bunk beds; and the third bedroom has a set of pyramid bunk beds and television. The upper-most level of this townhouse offers a spacious bedroom with a queen bed, two twin beds, a television and air conditioning. We had a great time at Alpine Village. Our unit was well stocked. We did have a few items that did not work and the Unit definitely needs repairs and freshening up. Thanks for our comments. After having done renovations on the main/entry level, the homeowner is planning to repaint upstairs and update some furnishings and TV's there this summer. Unfortunately the cable tech didn't arrive until after your stay to fix the bedroom cable, but that has since been taken care of. We hope you'll come back next year and see the further improvements! Helpful with any questions ... great staff. Good condo. Plenty of sleeping space. Great Deck!!!! Love the location would rent it again! The Vacation rental is in a great location. It was a humid week so we were thankful to have AC. The AC needed frequent emptying but we were glad to have them. The place was tidy, plenty of towels, pillows, bedding and TP (noted previously). Carpet had a few stains in living room but otherwise clean. Kitchen was well stocked but could use a few more bowls for prepared dishes:) Neighbors were friendly. Thank you! Very satisfaction ! Thank you ! Very good,just not enough toilet paper,we are many montains ! It was a pleasure to have your group with us! We had a 4 bedroom condo very well kept nice neighbors (and we were a big family :) beautiful area would definitely recommend .